This is a miniature figure, folded to scale. 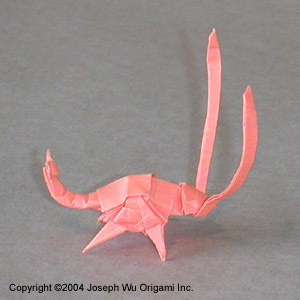 Folded from one sheet of paper (with two cuts to form the antennae). The rust monster is a creature from the Dungeons & Dragons game.